Hotel Carlingview Toronto Airport’s shuttle drivers take the time to ensure you are dropped at the right door of the appropriate airport terminal and that you know where to go from there. 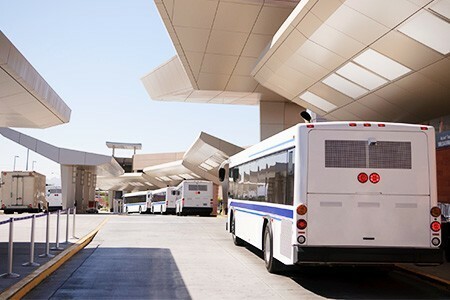 Shuttles operate 24 hours a day, let us worry about getting you to and from the airport, so you can spend your time getting ready for an incredible vacation! Please notify the hotel that you are ready to be picked up from the airport by calling the hotel directly at (416) 675-3303. 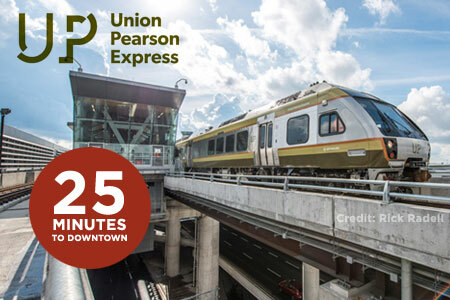 UP Express connects the Toronto Pearson International Airport and Union Station in downtown Toronto every 15 minutes. They've upgraded what was a tedious and often expensive commute by traffic-congested roads to a delightful 25-minute trip. For schedule and ticket prices, click here.